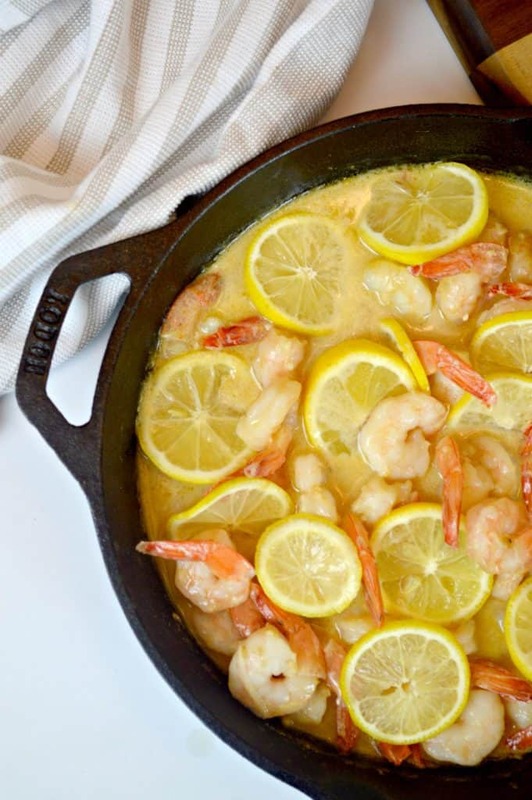 This creamy lemon parmesan shrimp recipe is delicious and can be ready in under 20 minutes! It’s the perfect weekday meal. 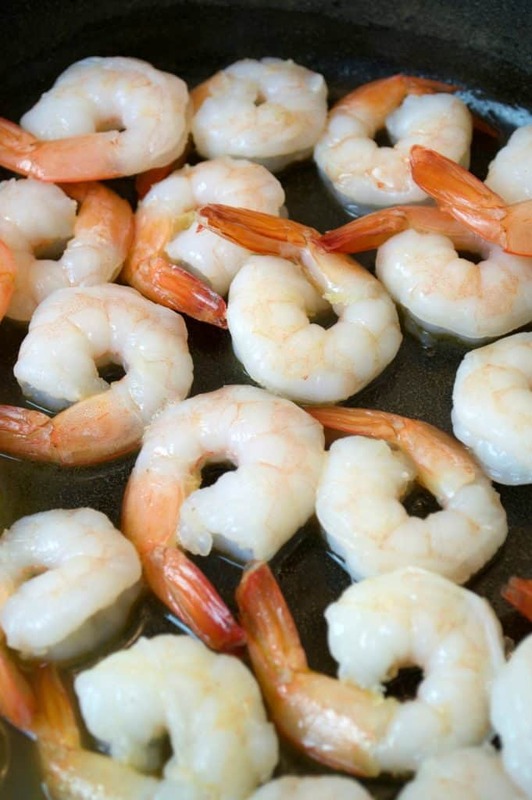 My husband loves seafood, and more often than not, we have shrimp on hand to toss into a salad or mix into rice. 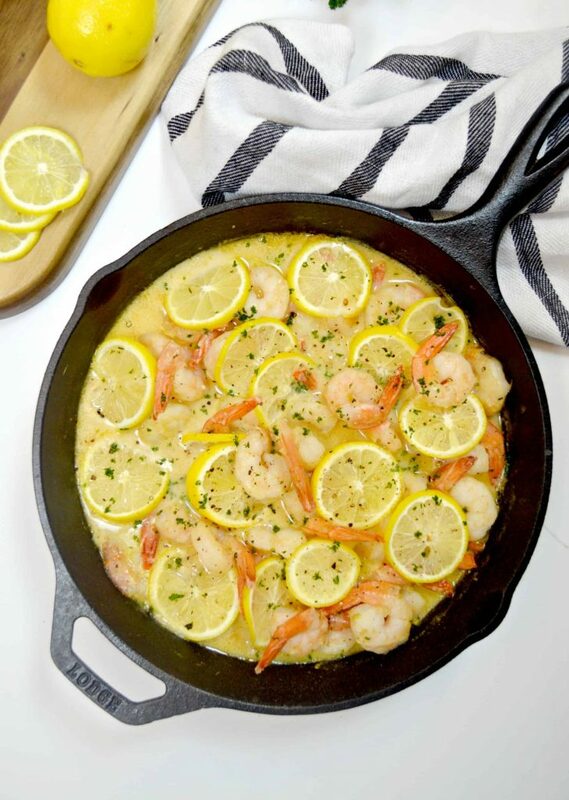 This creamy lemon parmesan shrimp can also be served with your favorite pasta, cauliflower rice, or even with a baked potato! The creamy sauce also heats up well, so you can make an extra batch and use the leftovers for lunch or dinner the next day! 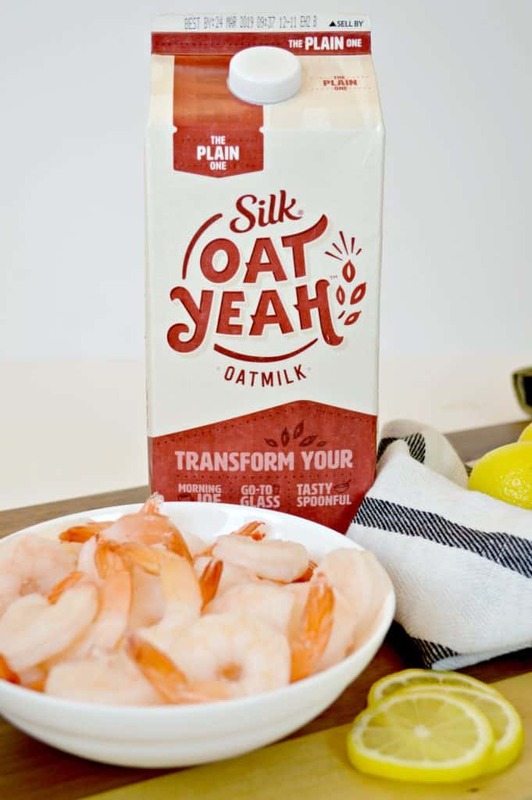 This super tasty recipe that’s bursting with flavor is a long time favorite that’s been upgraded with Silk Oat Yeah Original Oatmilk that I bought at my local Walmart. What is Silk Oat Yeah Original Oatmilk? It’s a delicious plant-based alternative to dairy that’s also nut-free! 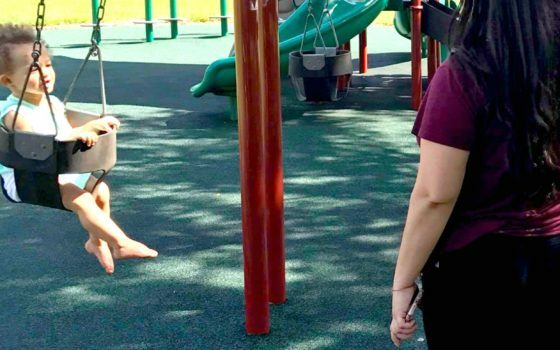 Our family (on both sides) has a long history of food allergies. It ranges from nut allergies, milk intolerance, to even soy allergies. 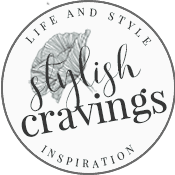 Having a dairy-free alternative handy for recipes is just something I’ve always done. Finding a dairy free alternative is easy, but snagging one that doesn’t alter the taste of a creamy recipe like this is a whole other story! 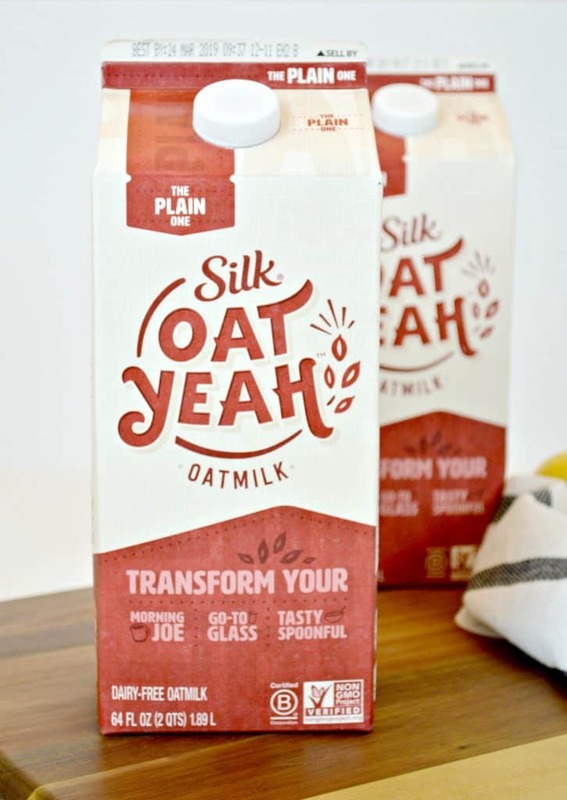 Silk Oat Yeah Original Oatmilk flavor is hands down the best because of its taste and texture! 1 1/2 tablespoon of butter **coconut oil and olive oil work well too! 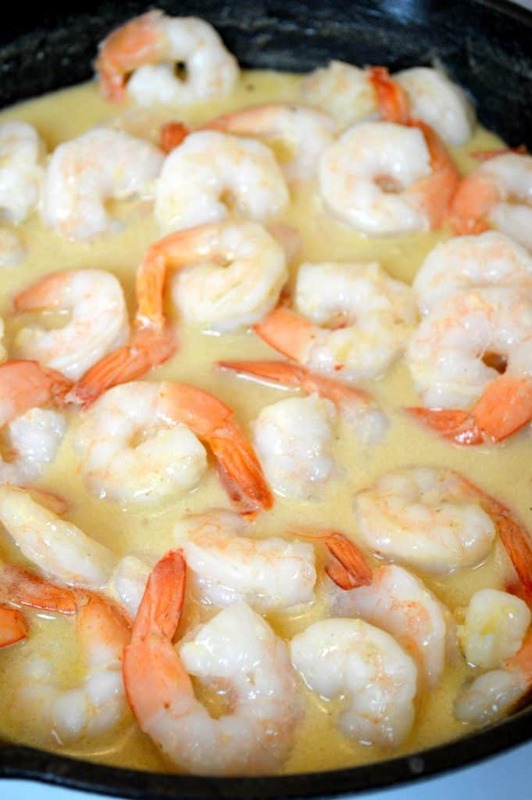 Heat butter in skillet and cook shrimp, Set aside. In same skillet add garlic and fry. Add Silk Oat Yeah Oatmilk, season with salt and pepper and bring to a boil. Stir in parmesan cheese and simmer until thick. Add in one tablespoon of cornstarch and whisk. **For a thicker sauce stir in remaining cornstarch. 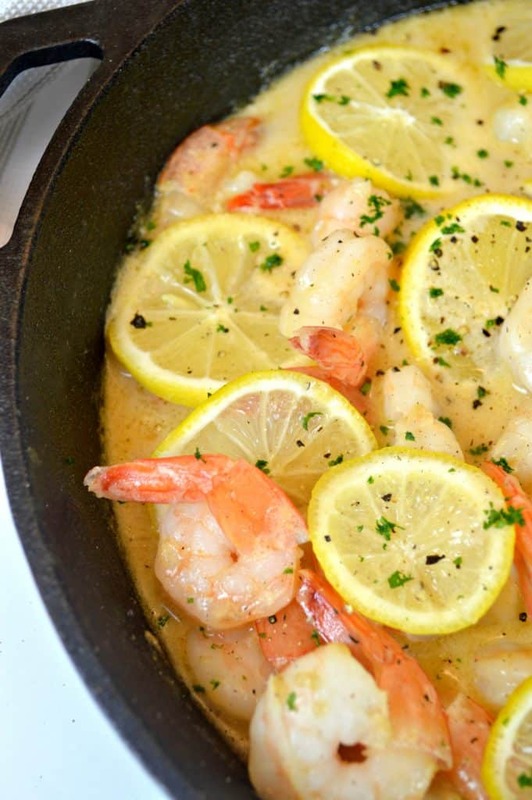 Remove from heat and add lemon juice and shrimp into skillet with sauce. Top with slices of lemon and garnish with extra parmesan cheese, and black pepper. 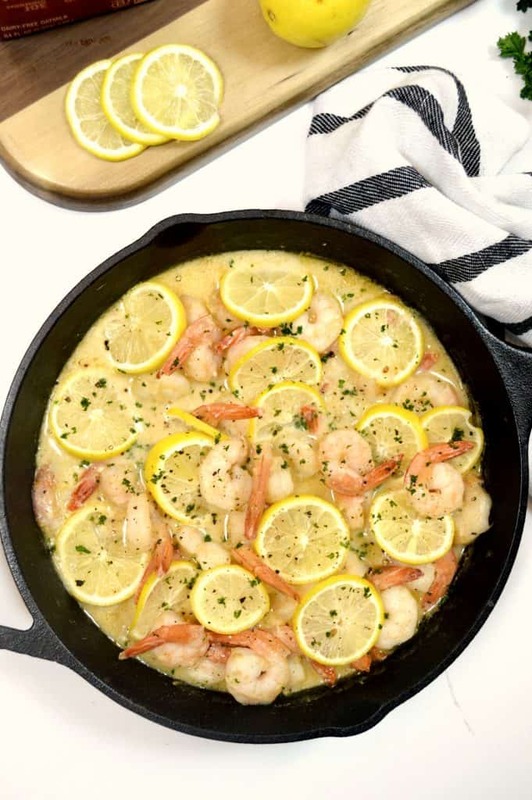 The versatility of is perfect for recipes like this lemon parmesan shrimp recipe, your morning coffee, or even on its own! The new Silk Oat Yeah Oatmilk comes in three different types of flavors; chocolate, vanilla, and original. 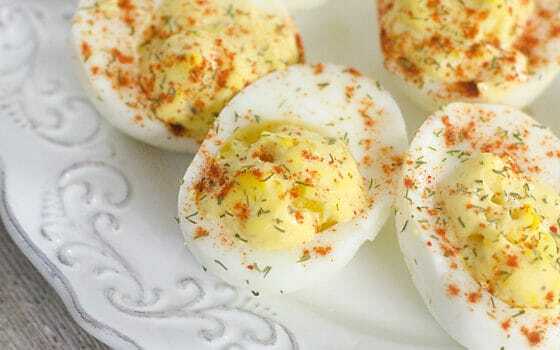 Perfect to use in both savory and sweet recipes!